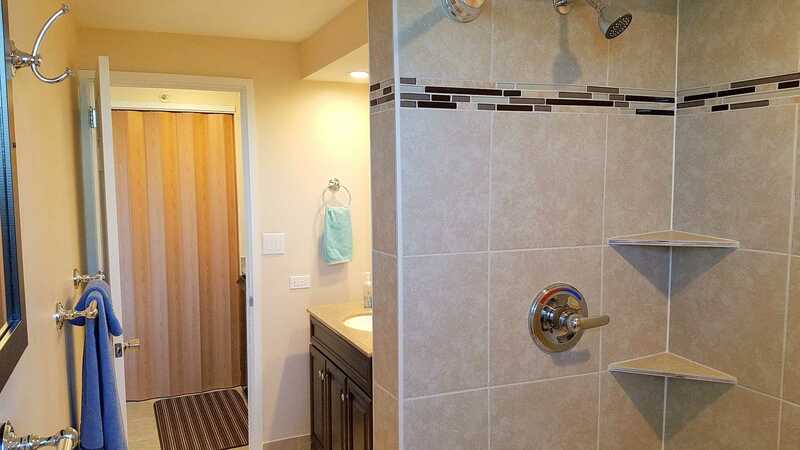 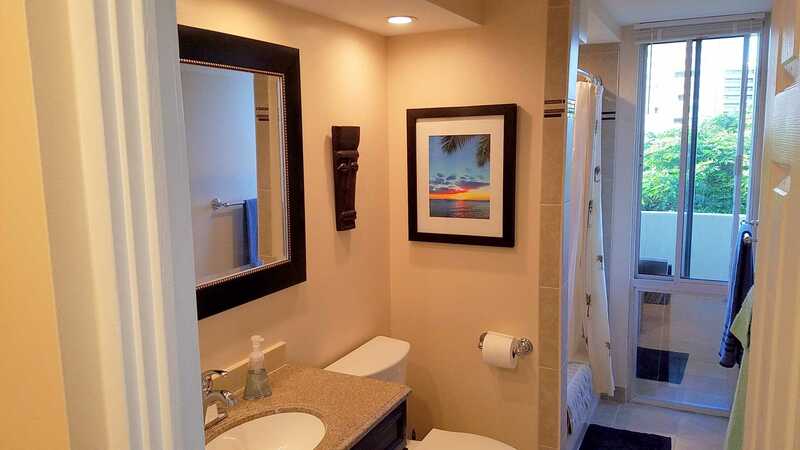 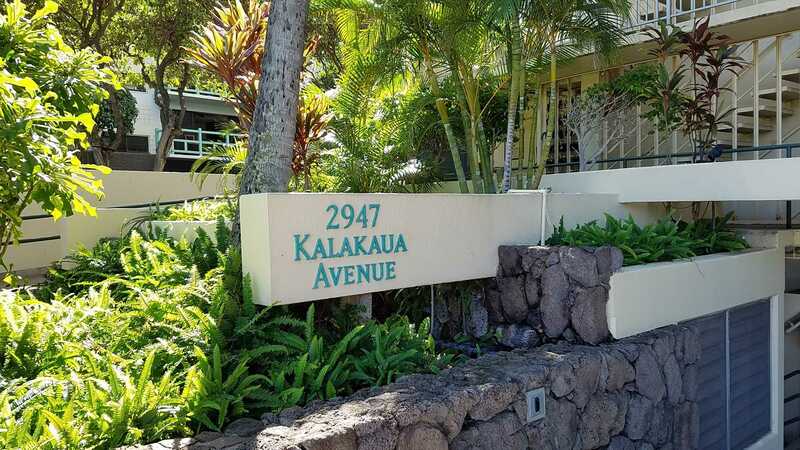 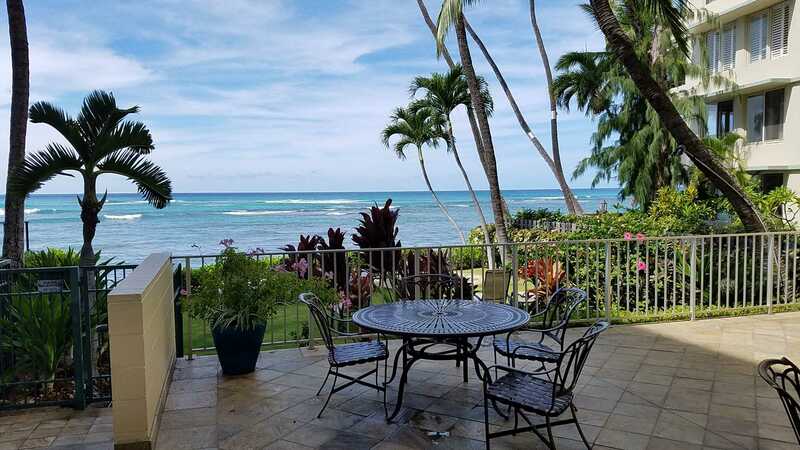 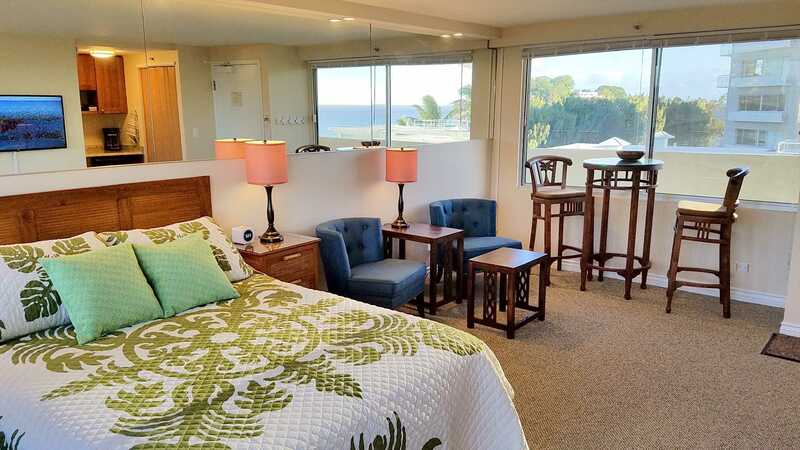 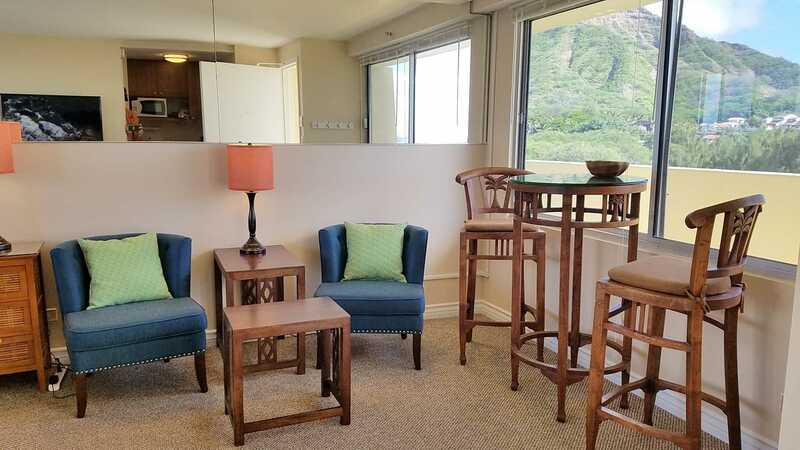 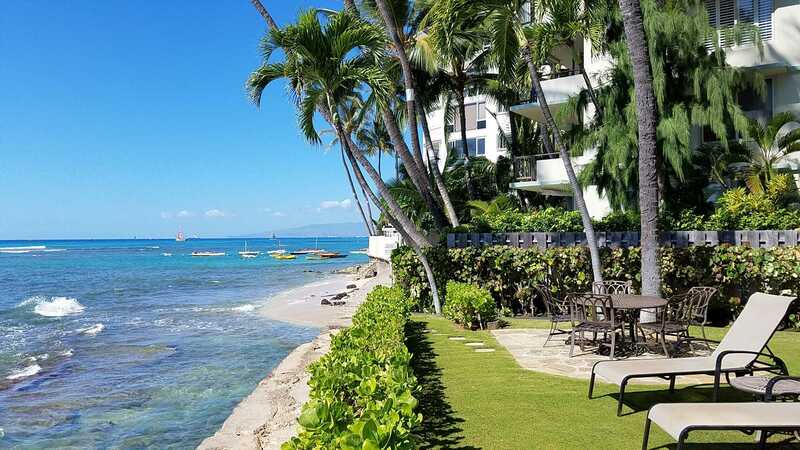 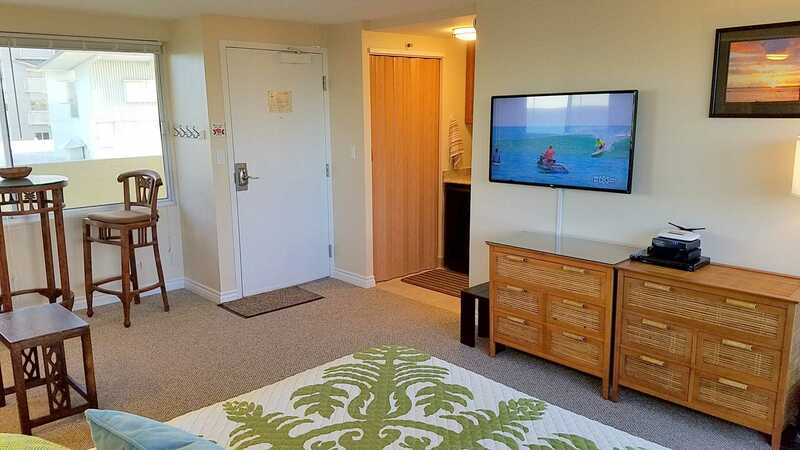 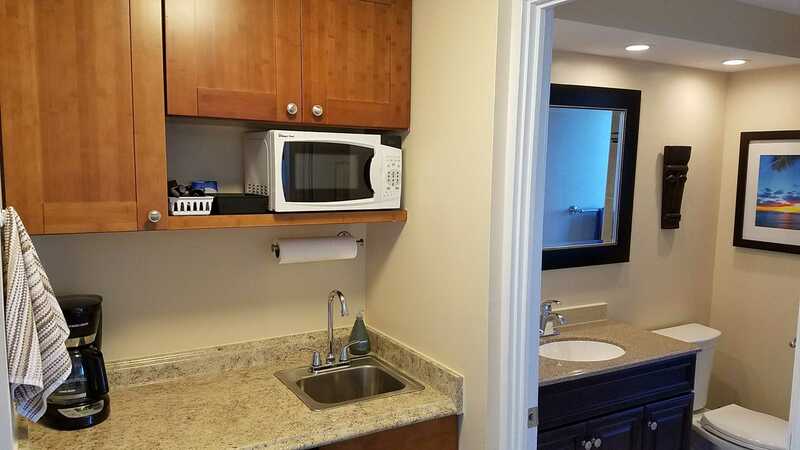 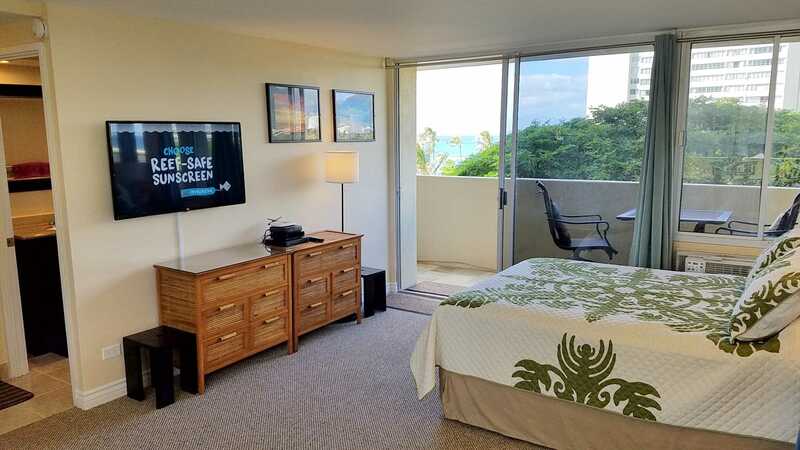 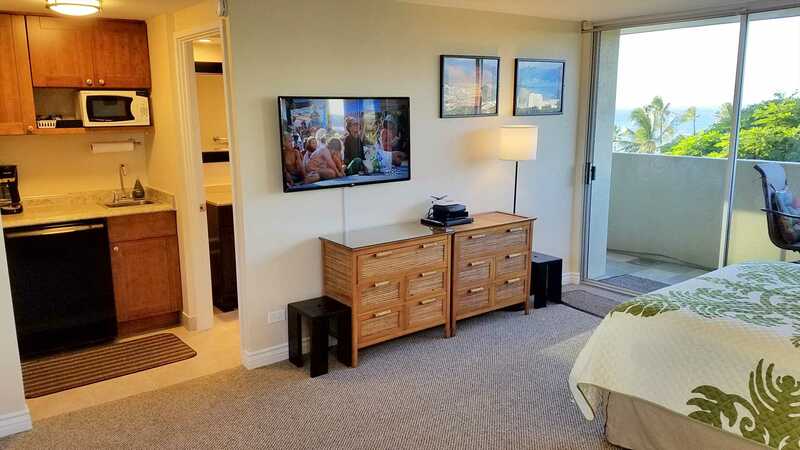 This charming, newly remodelled studio condo in the "Diamond Head Beach Hotel" is perfectly located on the "Gold Coast" between Waikiki and Diamond Head. 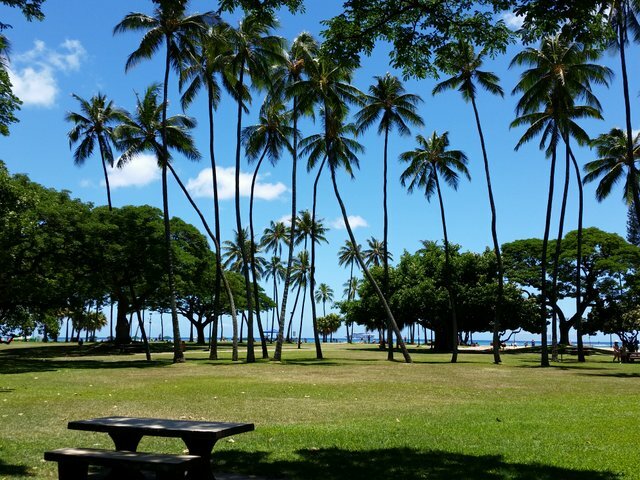 Come and see why people like it here so much. 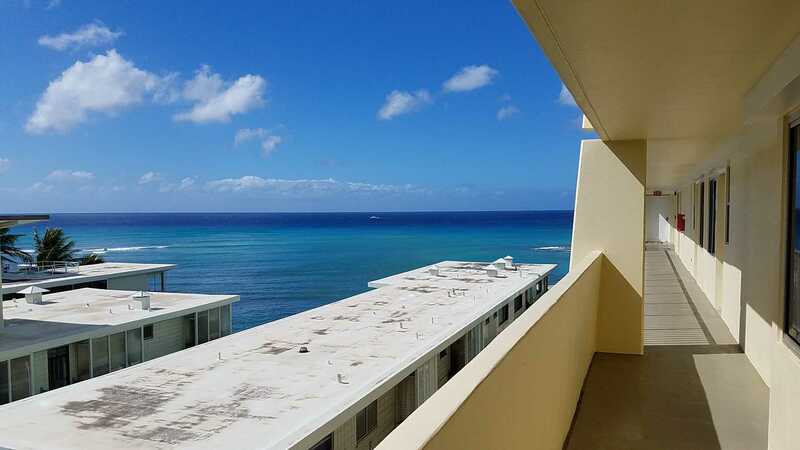 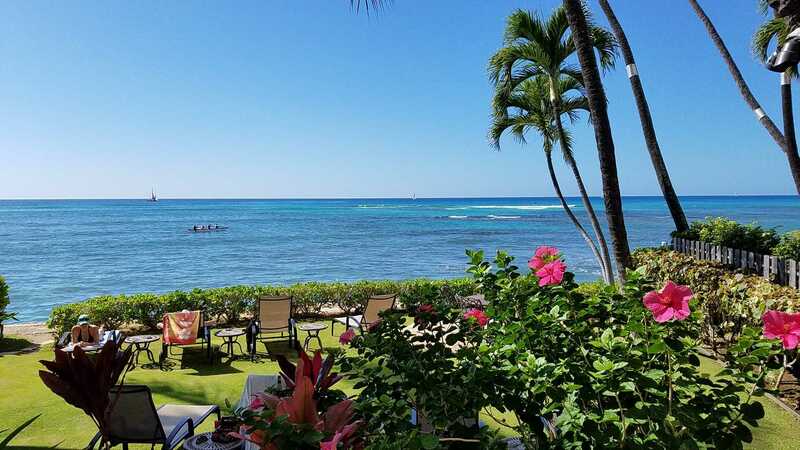 It's a peaceful oasis on the ocean, with wide open spaces where you can hear the waves, and you're just a short walk from Waikiki. 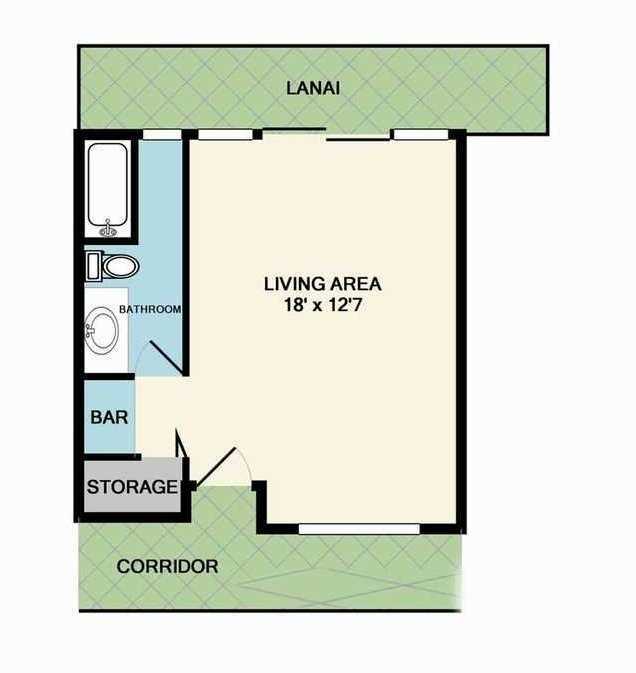 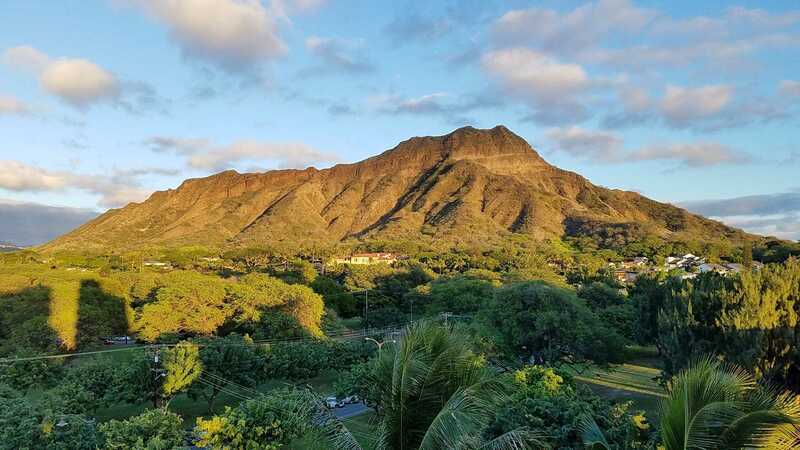 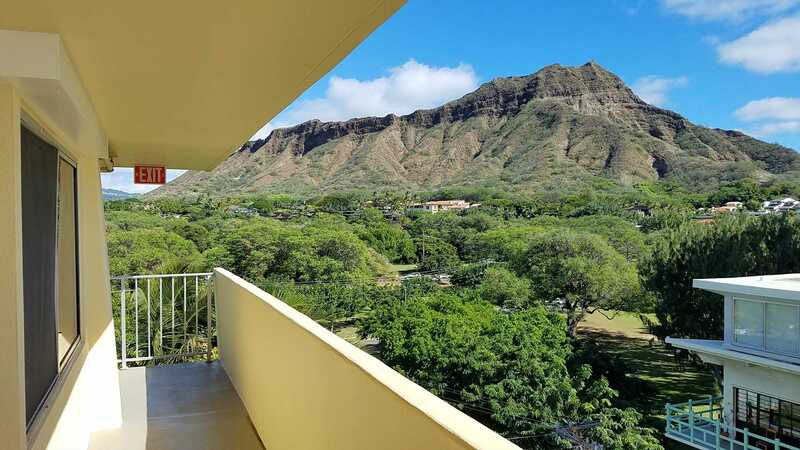 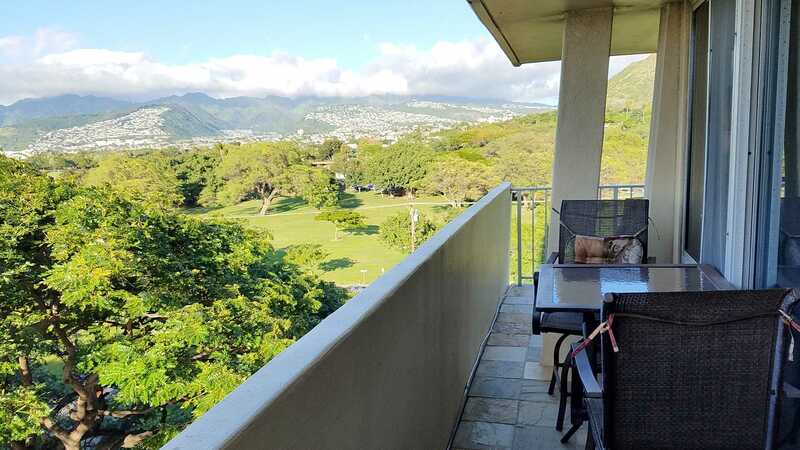 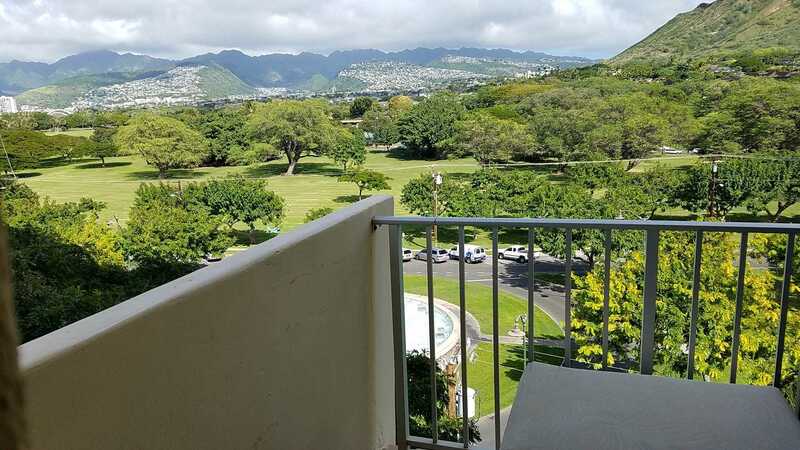 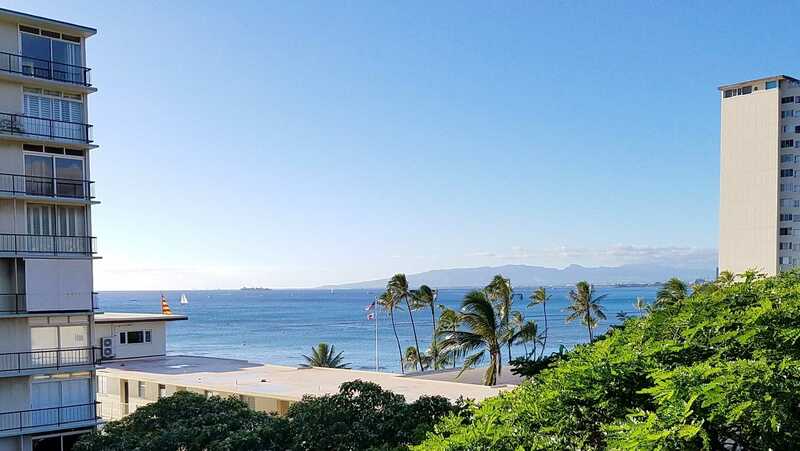 Our condo is on the 8th Floor, Mauka (mountain) side, and has a private Lanai that extends to the end of the building with both an ocean view, and a panoramic view of Kapiolani Park and Diamond Head. 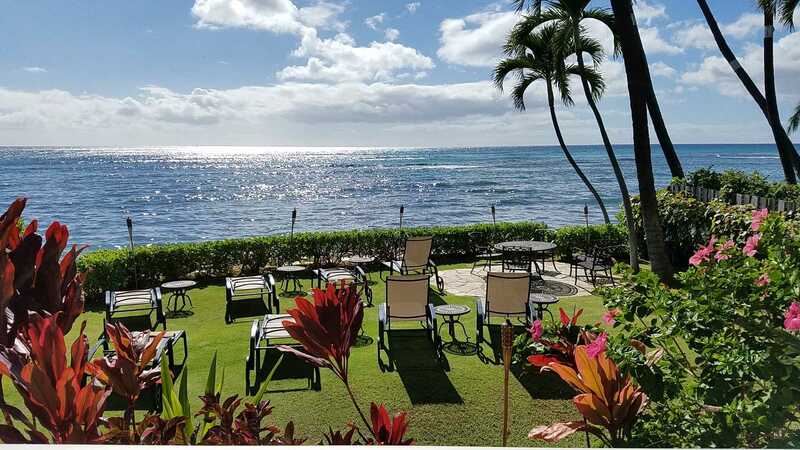 The Hotel includes an ocean-side, private garden area with lounge chairs, tables, and an outside shower to rinse off after swimming in the ocean. 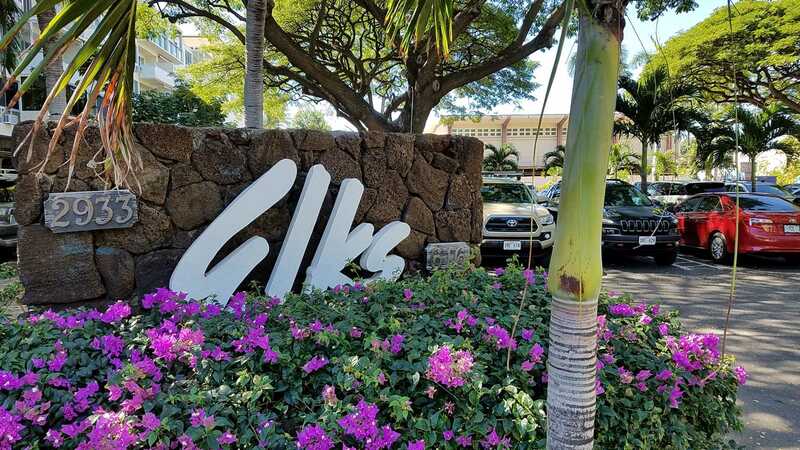 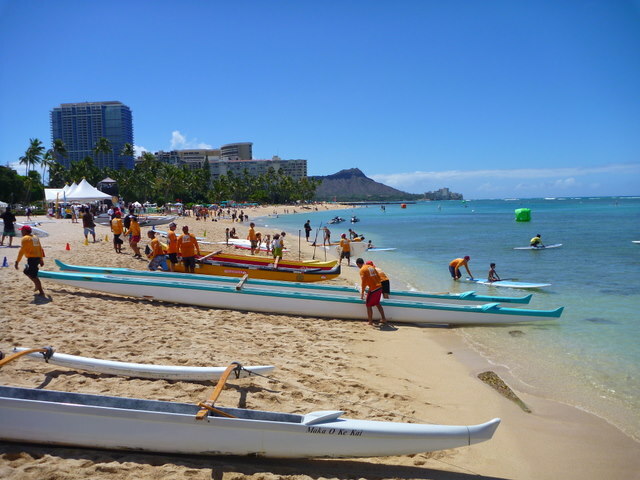 The Hotel is in an ideal location, just 2 buildings next to the Elks Club, and the Outrigger Canoe Club. 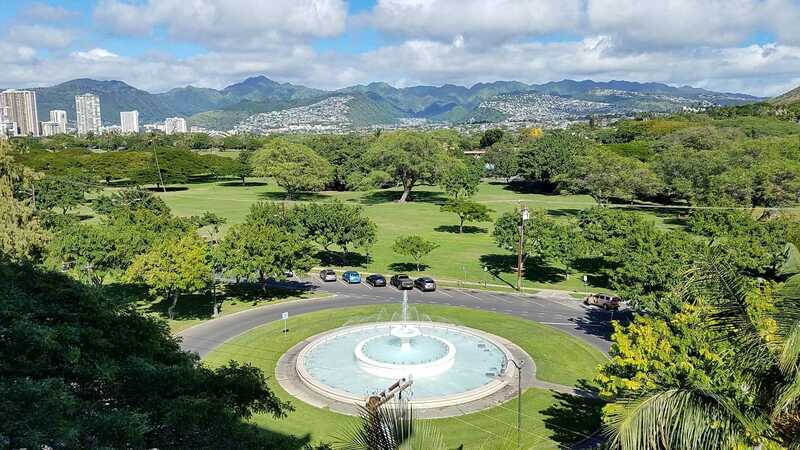 Across the street is the fountain and the large open green spaces of Kapiolani Park. 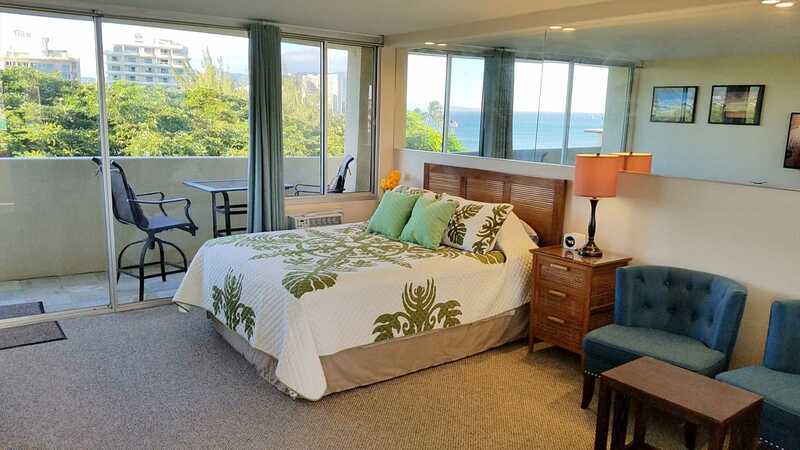 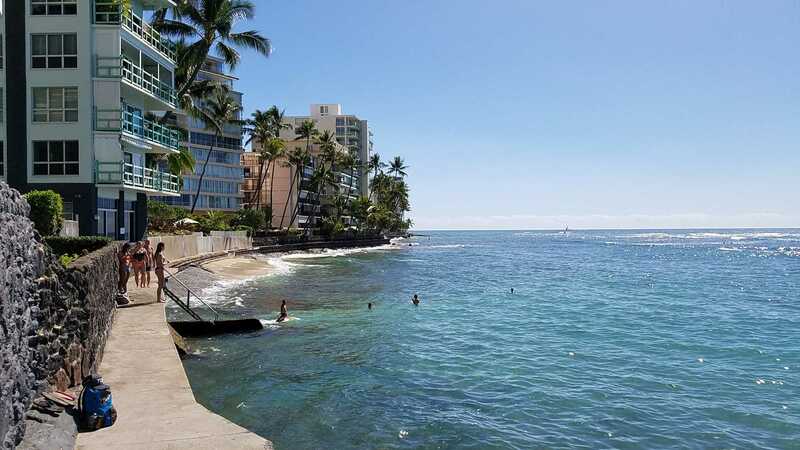 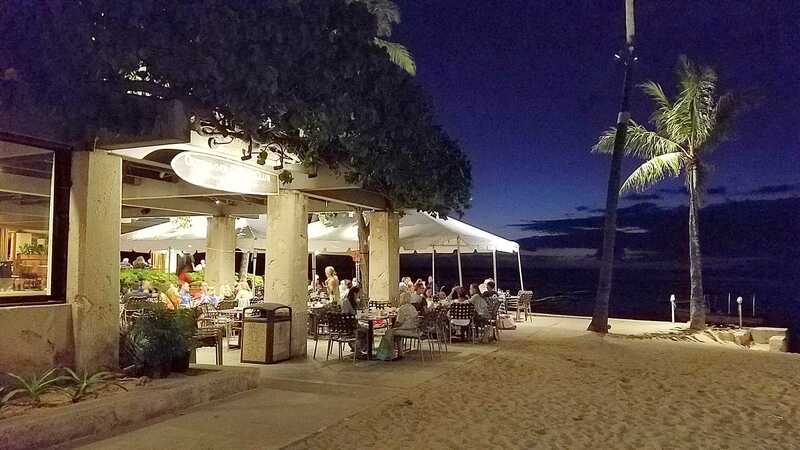 It's also a very short walk to The Waikiki Aquarium, The Honolulu Zoo, The Waikiki Shell (for outdoor evening concerts), Tennis courts, Craft fairs, and much more! 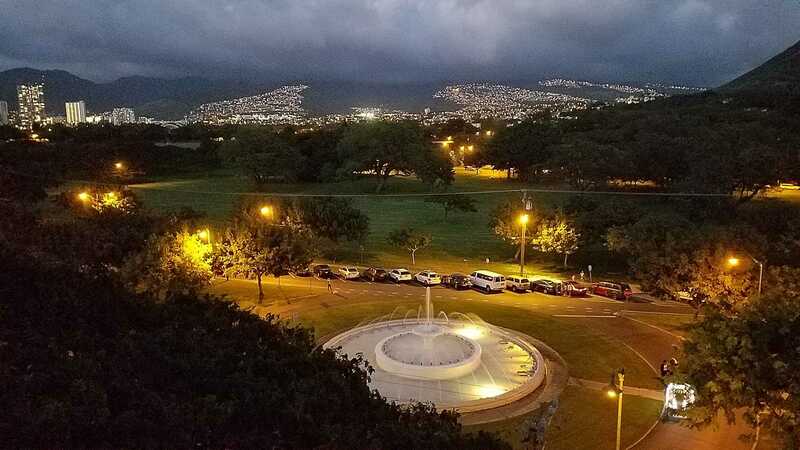 You can walk around Diamond Head and take in the scenery at several vistas, and stop at some of the restaurants and shops along the way. 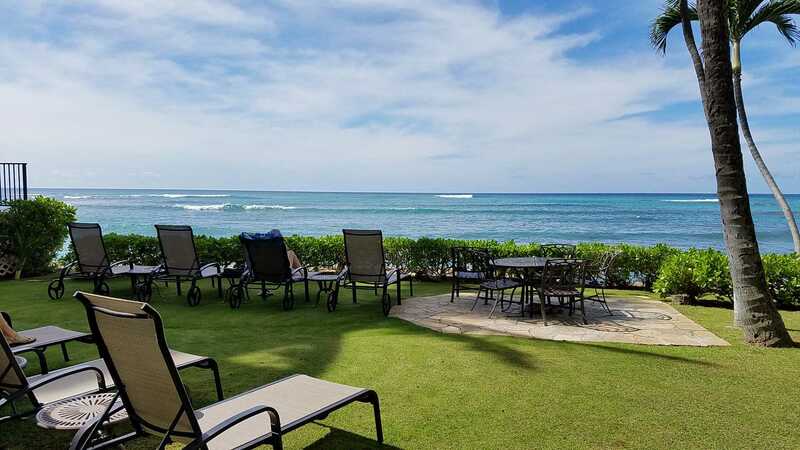 Or, watch the surfers from the "Diamond Head Wall" with breathtaking views of some of the most popular surfing spots in Hawaii. 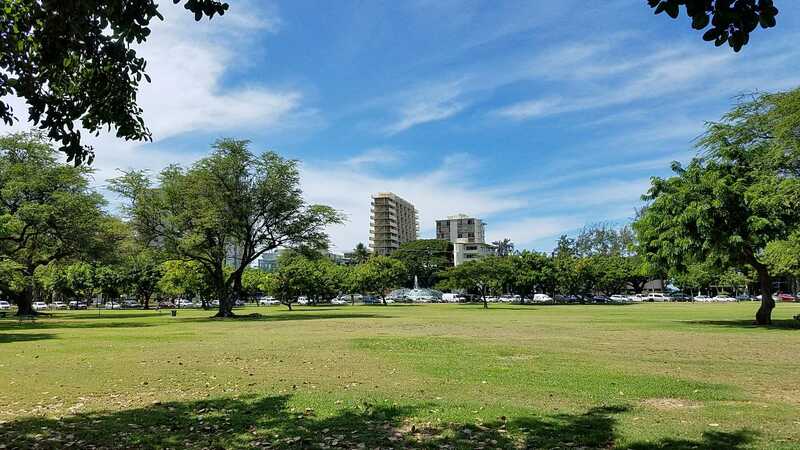 For Tennis lovers, there are plenty of public courts within Kapiolani Park, just a short walk from the Hotel. 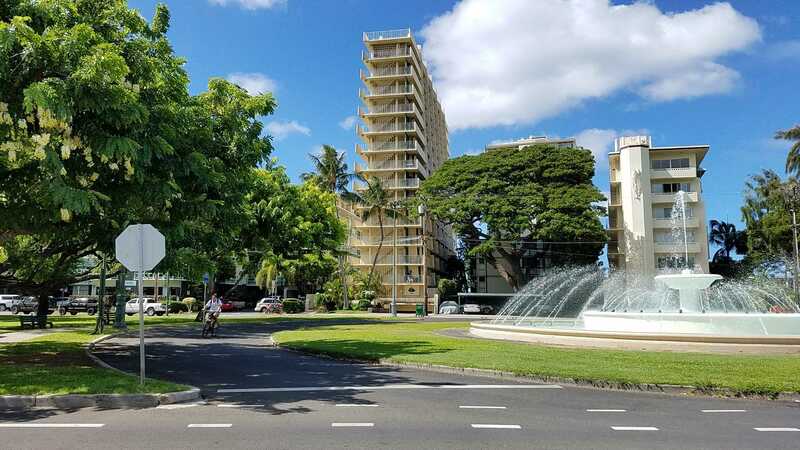 Both free and metered parking can be found on the street just a short walk away.